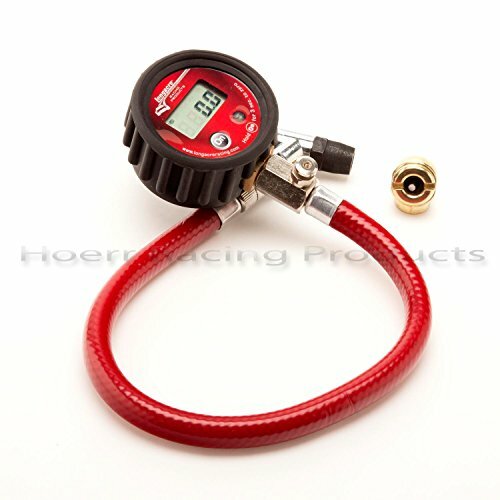 Longacre digital air pressure gauge with active display. Longacre replaced gauge number 50348 with this gauge. Pressure reading is always active - no hold. 0-100 PSI - automatic zero. Reads to .2 PSI. Air pressure release button. External gauge bumper. Ultra-flexible, 14" line with ball chuck.